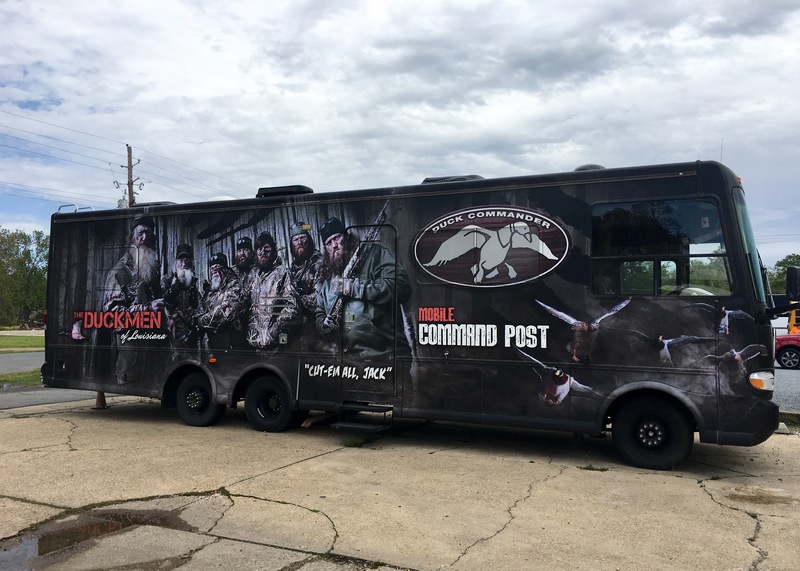 Four years ago, the Duck Commander world exploded into popularity with the release of A&E’s Duck Dynasty television series. Suddenly, camo was a popular color again and everyone wanted to have redneck roots no matter how farfetched they were. Since then, beards have become the hippest male accessory and trucks have replaced fancy sports cars. I won’t lie, we were hooked. The Mister is a hard-working man who enjoys fishing and hunting while I am the stereotypical homemaker who couldn’t be happier homeschooling and baking. Throw in our love of God and the wholesome show was a treat from above. When I found out we would be visiting Duck Commander Headquarters, well, it was quite the moment. Unfortunately, the visit fell far below our expectations. The coolest memory we left with was simply taking a photo in front of the famous sign. 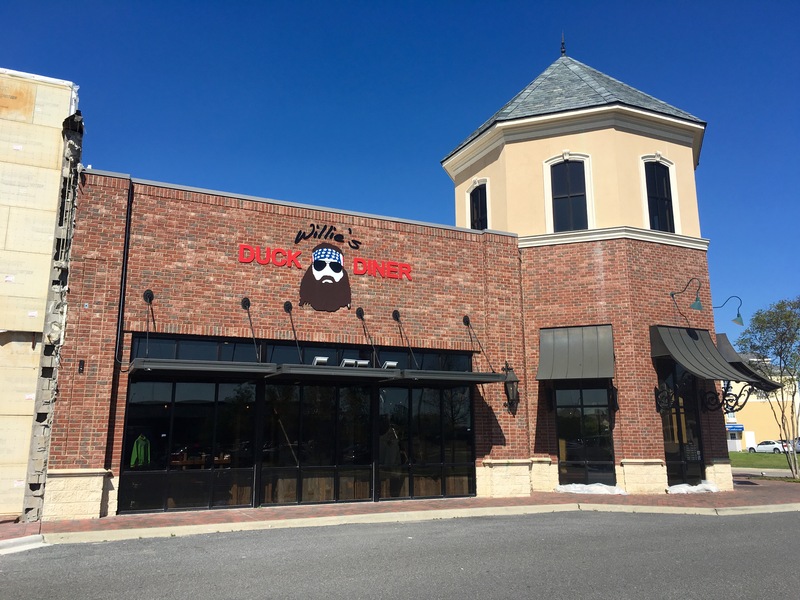 Imagine a store that is nothing but Duck Commander Buck Commander accessories or apparel. Basically think about the Duck Dynasty section of your local sporting goods store. Congratulations, you’ve imagined all there is to see. Other than the store there are the two recreational vehicles parked out front (the motorhome and the hauling trailer) but exploring them is not allowed and after living in a camper full-time, seeing one wrapped with a photo is not exactly all that thrilling. Maybe that is just us though. 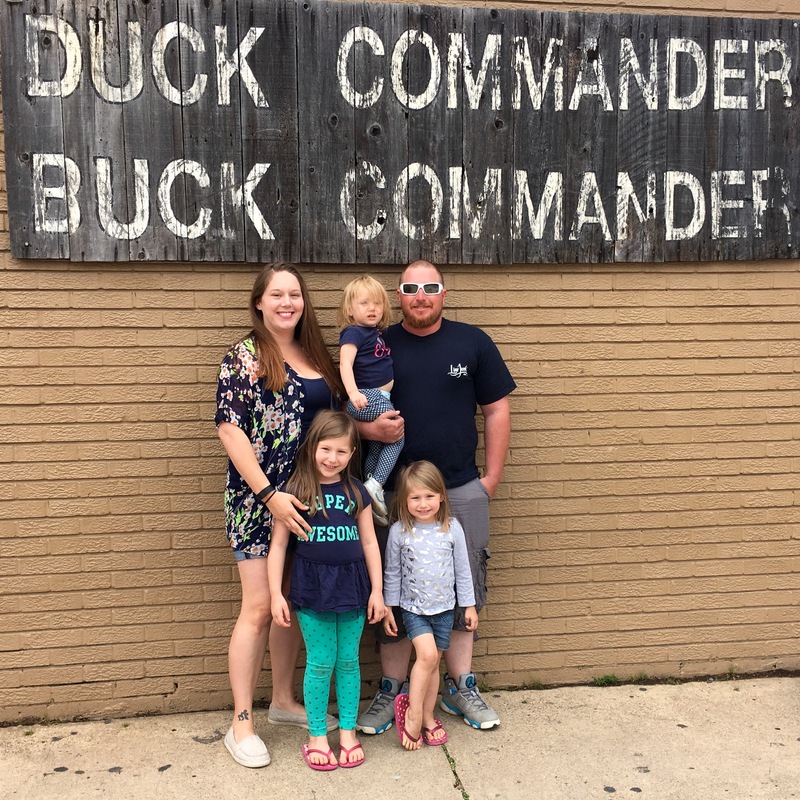 Our family did take time to swing by Willie’s Duck Diner on the way to headquarters but even this stop just did not hold our attention or fascination very well. The atmosphere was pleasant and the service was the standard southern hospitality we grew up with without anyone exactly going above and beyond. The décor was similar to a basic steak or family joint (although they did have TVs sprinkled throughout playing Duck Dynasty episodes) and while the food was good, it was most definitely not worth the pricing. Overall, we just did not see the appeal of the locations other than bragging rights of “we’ve been there”. If Duck Commander and the affiliated venues had been our sole reason for the trip, I would have felt a lot more than just disappointment. Word to the masses, visiting Duck Commander on your way through town is reasonable if you must, but please don’t bother making this location the purpose of your vacation.